LUDVIC apartment is an elegant yet comfortable two-room apartment located near the Castle Square. The apartment overlooks Świętojańska Street and offers views of the St. John's Cathedral and part of the Royal Castle. The apartment is suitable for up to 6 people, the bedroom features a large Rocco Style double bed measuring 160 cm x 200 cm and further sleeping accommodation is provided by two double sofa beds. The apartment also benefits from a fully equipped semi-open plan kitchen and a Romanesque bathroom with a 70 cm x 70 cm semi-circle shower cubicle. ANGELIC Apartment is a spacious and comfortable 2-room apartment benefiting from an additional mezzanine level bedroom. The apartment is located in a quiet location near the Castle Square overlooking the inner courtyard so that the apartment is quiet and at the same time in the heart of the Old Town. The apartment provides accommodation for up to 6 people, the bedroom has a double bed, on the mezzanine level there's a comfortable 160 x 200 mattress and in the living room a double sofa bed. The apartments also benefits from a separate fully equipped kitchen and fully equipped bathroom with bath and shower. N.B. Our ANGELIC and LUDVIC apartment are located next door to each other and may be booked together for larger groups. ​SA-VOY apartment. Located just at the Castle Square, vis a vis the Castle.. This modern studio apartment can accommodate a maximum of 2 people. The apartment has an open plan living area with a fully equipped kitchenette, dining table, cable TV, free wifi. In the bathroom a walk-in shower. ​MARCO Apartment is located close to St. John's Cathedral between the Old Town Square and the Castle Square. The apartment is a smart 1 bedroom apartment finished in a contemporary style. The apartment is designed for a maximum of 4 people. The bedroom has a comfortable queen size bed 160 x 200. The living room has a folding corner sofa 150 x 200. The apartment also benefits from a fully equipped modern kitchen and bathroom with walk in shower. Luxury Apartment GRACE is located on the main square of the Old Town on ul. Curve Circle is This, our finest apartment, has been well received by our more demanding guests who appreciate modernity. GRACE is a large 2-room apartment of 80 sq.m with mezzanine level. The apartment is designed for a maximum of 6 people. It has a bedroom with a comfortable king size 160 x 200 bed, a mezzanine bed above the living room and a sofa bed in the living room. In the bathroom there is a bathtub with shower option. ​​DOMINIQUE Apartment is a spacious and comfortable 3-room (75 sq m) apartment benefiting from St. John's Cathedral view. The apartment is located between the Main Market Square and the Castle Square at Świętojańska street. The apartment can comfortably accommodate up to 8 people. The master bedroom has a large, metal frame double bed (160 x 200). The second bedroom offers a double bed and a sofa bed. There is also a double sofa bed in the living room. The apartment also benefits from a fully equipped kitchenette and a bathroom with a bathtube and shower option. ​​LEO Apartment is a spacious and comfortable 3-room (65 sq m) apartment benefiting from St. John's Cathedral view. The apartment can comfortably accommodate up to 6 people. The master bedroom has a large, double bed (160 x 200). The second bedroom offers a two single beds. There is also a double sofa bed in the living room. ​​PEARL Apartment is a spacious and comfortable 2-room (55 sq m) apartment benefiting from the great Świętojańska street view. The apartment is located between the Main Market Square and the Castle Square. The apartment can comfortably accommodate up to 5 people. The master bedroom has a large, double bed (160 x 200). The living are offers a secluded niche with two single beds. There is also a double sofa bed in the living room. The apartment also benefits from a fully equipped kitchen and a modern bathroom with shower..
MERMAID apartment is located in the Old Town Square, with the living room window overlooking the oldest market place in the capital now full of cafes, restaurants and one of Warsaw largest museums. This two-room apartment benefits from a spacious open plan living area with fully equipped kitchenette dining area, seating area and sleeping area. The apartment is designed for a maximum of 5 people. The bedroom is equipped with a small double 140 cm x 200 cm, in the living room there is a corner sofa bed 150 x 200 and a metal framed queen size bed 160 x 200. LADY MARIA apartment is located in the Old Town Square, with the living room windows overlooking the oldest market place in the capital now full of cafes, restaurants and one of Warsaw largest museums. This two room apartment has recently been renovated to a good standard. The bedroom is equipped with a small double 140 cm x 200 cm, in the living room there is a corner sofa bed 150 x 200. The apartment also benefits from a separated fully equipped kitchen and the modern bathroom is equipped with a shower. N.B. Our LADY MARIA and MERMAID apartment are located next door to each other and may be booked together for larger groups. Apartment MOONLIGHT is located at the Old Town Square. It occupies a commanding corner position giving views over Mermaid Statue in the Main Square. This apartment can accommodate up to 6 people. This is a practical 3 room apartment. There is an open plan kitchen diner with a sofa bed 140 cm x 200 cm and there are two bedrooms, one equipped with a double bed measuring 140 cm x 200 cm and the other with a two single beds. Apartment LITTLE PRINCE. This Studio apartment is located within the walls of the Old Town near the Main Market Square, in a side street providing peace and quiet and at the same time just a few steps from the hustle and bustle of the many cafes and restaurants of the Old Town. There is a balcony overlooking the secluded inner courtyard. The studio is for max 2 people. It is equipped with a comfortable double bed measuring 160 cm x 200 cm, bathroom with shower, living area with fully equipped kitchenette. N.B. We have a number of apartments in this building which can be rented together for larger groups. MASOVIA Apartment. This two-room apartment is located within the walls of the Old Town just off e Market Square in a side street called Krzywe Koło providing peace and quiet, yet at the same time just a few steps from the hustle and bustle of the main square. The apartment is suitable for a maximum of 6 people. The spacious living area offers two double sofa beds (160 x 200 and 130 x 200) and the traditional style bedroom has a comfortable metal framed double bed (140 x 200). The apartment also benefits from a separate fully equipped kitchen and an attractive bathroom with bath and shower. OLGA Apartment. This spacious contemporary two-room apartment is located within the walls of the Old Town just off the Market Square in a side street called Krzywe Koło providing peace and quiet, yet at the same time just a few steps from the hustle and bustle of the main square. The spacious open plan living area has two double sofa beds (160 x 200 and 140 x 200) and a well equipped kitchenette. The bedroom has a comfortable double (140 x 200). The modern bathroom boasts a large walk in shower and glass sink. MINT Apartment. This spacious contemporary two-room apartment is located within the walls of the Old Town just off the Market Square in a side street called Krzywe Koło. It is a peaceful and quiet apartment, yet at the same time just a few steps from the hustle and bustle of the Main Square. The apartment is suitable for a maximum of 3 persons. The apartments equipped with double bed (140 x 200) and single sofa bed, equipped kitchen. The modern bathroom boasts a new shower. WĄSKI DUNAJ Studio is a stylish one-room apartment which overlooks the beautiful Danube Square which is connected to the Main Market Square by charming cobbled side streets. The apartment is suitable for a maximum of 2 people and is equipped with a large comfortable double bed (160 cm x 200 cm). There is a bathroom with a bath and shower and a fully equipped kitchenette. CHEROKEE DUNAJ Apartment. This spacious apartment is located in a side street close to the Main Market Square, a quiet location in the heart of the Old Town. The apartment can comfortably accommodate a maximum of 4 people. The bedroom offers a double bed (140 cm x 200 cm) and the open plan living area offers a double sofa bed. The open plan living area has a fully equipped fitted kitchen. The bathroom with bath and shower. PENTHOUSE Apartment is a large two floor apartment comprising of living room, kitchen and bathroom with shower on the lower level and two large open bedrooms spaces with a second bathroom equipped with bath tub on the upper level. There are one double bed and one king size beds on the upper level as well as corner sofa bed. Guaranteed the best location in the Old Town. Piwna street is just a few steps from the Main Market Sq of the Old Town. The apartment can accommodate a large family of max. 8 persons. VOGUE apartment is a recently renovated to a premium standard elegant comfortable four bedroom apartment. It overlooks Piwna Street and it's just a few steps from the Main Market Square.. The apartment can accommodate for up to 10 people, the bedrooms feature two queen beds measuring 160 cm x 200 cm, four single beds and further sleeping accommodation is provided by a double sofa bed. The apartment also benefits from a fully equipped kitchenette and 2 modern bathrooms with showers. BOSS apartment is arecently renovated to a premium standard elegant comfortable three-room apartment. It overlooks Piwna Street and it's just a few steps from the Main Market Square.. The apartment is suitable for up to 8 people, the bedrooms feature two double beds measuring 140 cm x 200 cm, two single beds and further sleeping accommodation is provided by a double sofa bed. The apartment also benefits from a fully equipped kitchenette and a modern bathroom with a walk-in shower. PIWNA Apartment. This great two room apartment located close to the Main Market Square, a quiet location in the heart of the Old Town. Free wifi and cable Tv are provided. There is a separate fully equipped fitted kitchen. Bathroom with walk in shower. Studio LUCKY 13 is a good size apartment located between Castle Square and the Main Market Square. The apartment overlooks the street Piwna which is one of the main streets in the Old Town.. The apartment can comfortably accommodate up to 2 people. It offers a large comfortable bed 140 x 200, a sofa sitter. The apartment has a bathroom with a shower and a fully equipped kitchen. PODWALE Apartment. This spacious two-room apartment is located on ul. PODWALE and there are street parking spaces around the entrance to the apartment. It has a balcony offering views of the Old Town walls. The apartment offers comfortable accommodation for a maximum of 4 people. The master bedroom offers a double bed (160 x 200) and the spacious living room has a sofa bed (150 x 200). The modern fully fitted kitchen is well equipped with dinning table and 4 chairs. The bathroom offers a shower and there is a separate WC. BARBICAN Apartment. Two-room apartment on the ground floor located at Podwale near the Barbican gate and Old Town Wall approx 200 meters from the Market Square. The apartment is suitable for a maximum of 4 people. The master bedroom offers a double bed (140 x 200), the second bedroom offers a double bed (140 x 200). The apartment has a well equipped kitchen. In the bathroom there is a bath with shower. Studio MOSTOWA is located in the Old Town at close proximity to the Barbican. The apartment is located on the second floor in period property building. There are shops and restaurants round.The apartment is suitable for a maximum of 3 persons. The living area is equipped with a double bed measuring 140 cm x 200 cm and a sofa bed 90 x 200 cm. There is a bathroom with bath and shower and a separate fully equipped kitchen with table and chairs. 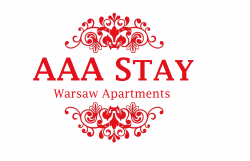 Studio FRETA Apartment is located on Warsaw's most prestigious area of the Old Town. The apartment overlooks the Freta street with shps and restaurants round. The living area is equipped with a double bed measuring 140 cm x 200 cm and a sofa bed 135 x 200 cm. Taddai Studio Apartment is located on Warsaw's most prestigious streets of Nowy Swiat (New World)'. The apartment overlooks the courtyard giving you peace and quiet yet open on to ul. Nowa Swiat bustling with many of the best shops and restaurants that Warsaw has to offer. The apartment is suitable for a maximum of 2 people. The living area is equipped with a large double bed measuring 160 cm x 200 cm and a sofa sitter. There is a bathroom with bath and shower and a separate fully equipped kitchen.